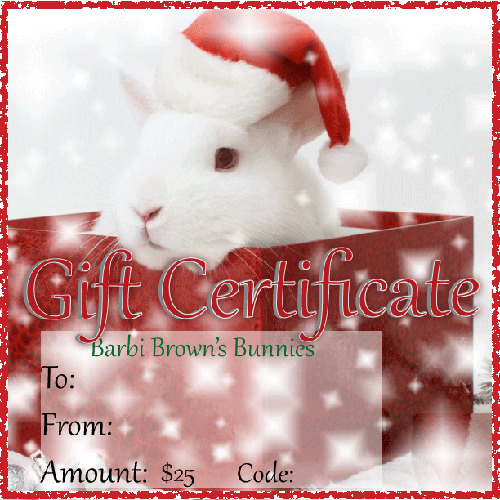 Please indicate the email or USPS mailing address that you wish to have your gift certificate deliverd to. Gift certificates make great gifts. They may be redeemed on line or at Barbi Brown's Bunnies barn or at a show. To redeem use the code number that is listed on the Gift Certificate at checkout. - To redeem use the code number that is listed on the Gift Certificate at checkout.